After a summer hiatus, the game which tests your New York food knowledge returns. In this “back to school,” edition, I’ve started the season off with an easy one. Take a look at the photos below. It shouldn’t take you long to identify this New York legend. 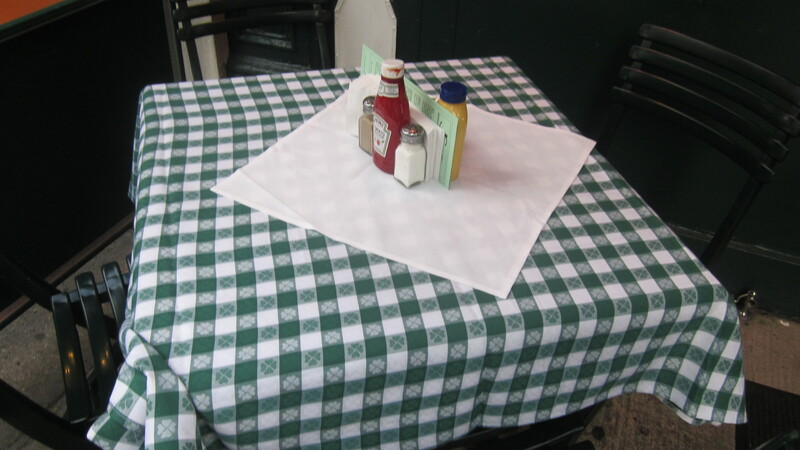 Here, with condiments in place, you can enjoy your meal over a green-checked tablecloth. 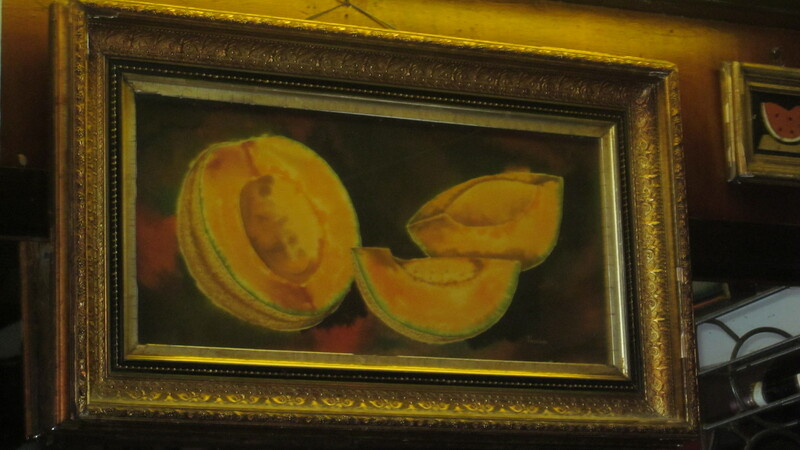 The art work on the walls has a distinctively fruity theme to it. Could it be that this place is noted for their…cantaloupes? 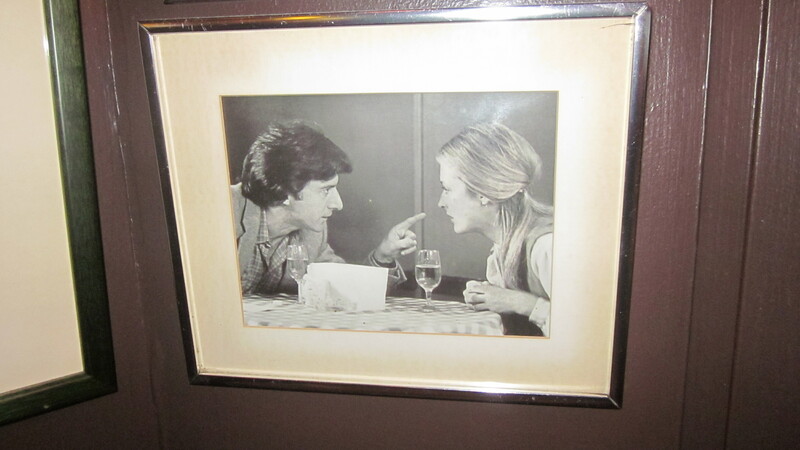 Was Dustin Hoffman insisting that Meryl Streep pay the tab here or was he just complaining about the green-checked tablecloths when they dined at this place many years ago? With those images, you should have no problem identifying this place. As always, leave your answers in the comments section below. The place will be revealed on Monday.